Known history: Cane was originally adopted through WAG in Whistler in 2013 by a fellow who had him for about 1.5 years. He was surrendered to Victoria Humane Society in 2015 and we adopted him. I thought it was a pretty cool way to spend Christmas Eve day... photographing one of my favourite sleddies, Cane. 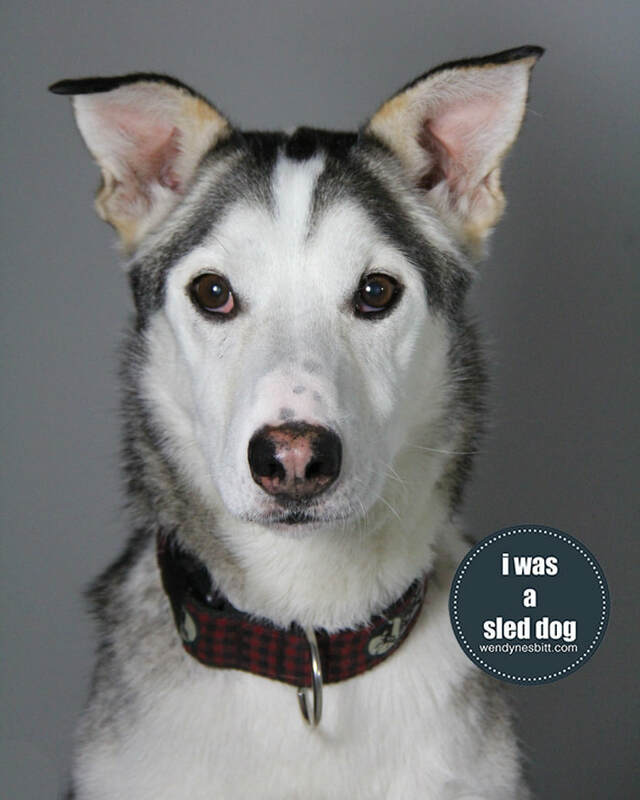 This guy made an impression on me when I first met him up at the Whistler Sled Dog Co kennels in September 2013. I had lost my lenscap and was hunting around for it - horrified with the thought that one of the dogs could've picked it up, eaten it and then had medical issues because of it. A lot of these dogs had spent years chewing on their dog houses, tethers and even eating rocks, but my lenscap wasn't going to be a part of that scenario. I easily found out the main part of the cap but a small piece was missing. I kept searching and then noticed a dog chewing on something... I went over to him and asked him for it. I wouldn't normally stick my hand in a strange dog's mouth, but I really didn't want him to swallow it. He gave it up and then just looked confused as to why I took it. Our friendship was solidified. Hurricane, as I knew him, hung around me for the next couple of days and I was sad to leave him. In early 2015 I heard he needed a new home. My friend Debra fostered him so I got to see him a few more times. Then he got adopted and later that year I got to visit him at his new home. His humans loved him so much. When they suggested they come for the session on December 24, I didn't have to think twice. 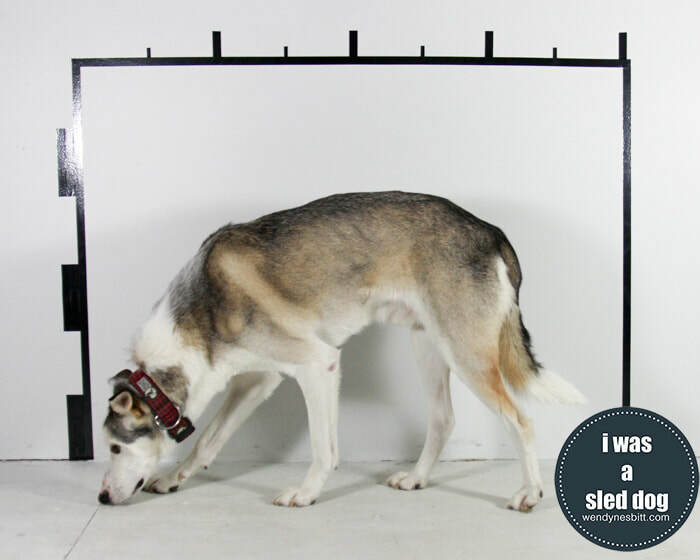 Cane was not much into standing in position but he loved treats so we used the trick of sprinkling them along the wall - it was the only way to get him close to position. I love his ears and serious expression in his portrait. Cane is a survivor of the Whistler cull of 2010.